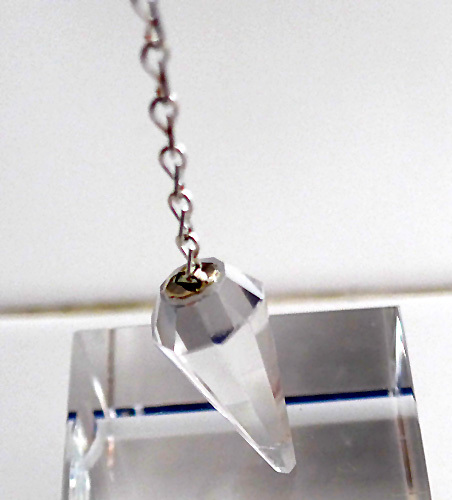 Dimensions (HxWxD): 1.125" x 0.625" x 0.25"
This small clear quartz crystal pendulum comes with its own silver chain. It has great clarity and fits easily in the palm. Weight above is shipping weight. Average weight is 7.77 grams. 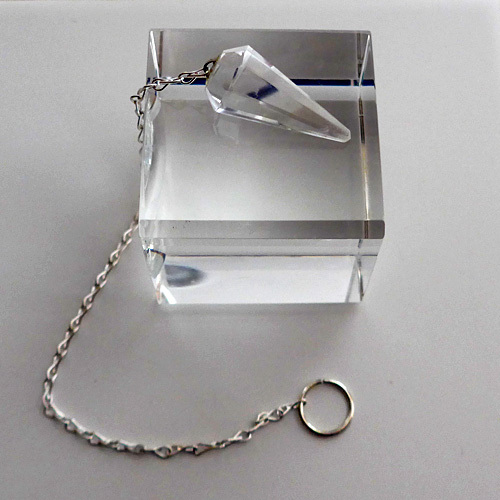 Each piece is unique and may vary slightly in appearance and dimensions. Each piece is guaranteed to be beautiful and to meet with your complete satisfaction.